Yobs responsible for vandalism and repeated attacks on a Black Country golf course are being treated to free golf tuition according to the Express & Star today. The Brandhall Golf Course in Oldbury is managed by the Sandwell Leisure Trust in partnership with Sandwell Council, and is running this initiative in collaboration with the police. A grant has been secured from the Oldbury Town Team in a bid to tackle these bouts of anti-social behaviour. The scheme is aimed at encouraging the youths to show respect for the golf course, rather than destroying flags and pummelling the turf with clubs as is their usual ritual. 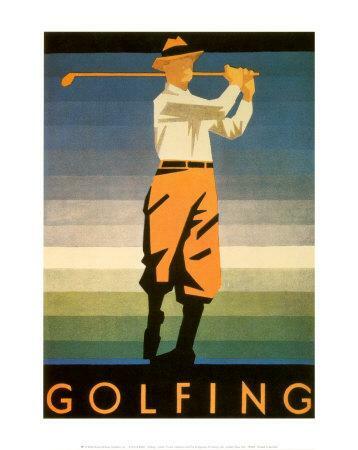 They will be instructed in the etiquette and history of the game by course professional Carl Yates, alongside receiving top class, structured tuition in various golfing techniques. After their weeks of free training they can even look forward to a competition and a prize giving in their honour. As is to be expected, the paying customers of the course are outraged that such violent behaviour qualifies the offenders for free games, whilst respectable players are forced to pay. What is more, taxpayers are subsidising an initiative that seems like a handsome reward for delinquency, and although no figures have been released we can be sure that the cost of this dubious strategy runs into thousands of pounds. Perhaps it should be recommended to any budding young golfers in the Sandwell that they try their hand at graffiti, flag stealing and golf ball hurling in order to qualify for this kind of truly privileged and completely gratis tuition, as it appears these expensive publicly funded programmes are available to marauding teenagers exclusively – or perhaps the authorities in the area should spare a thought for local taxpayers before squandering money in this manner.